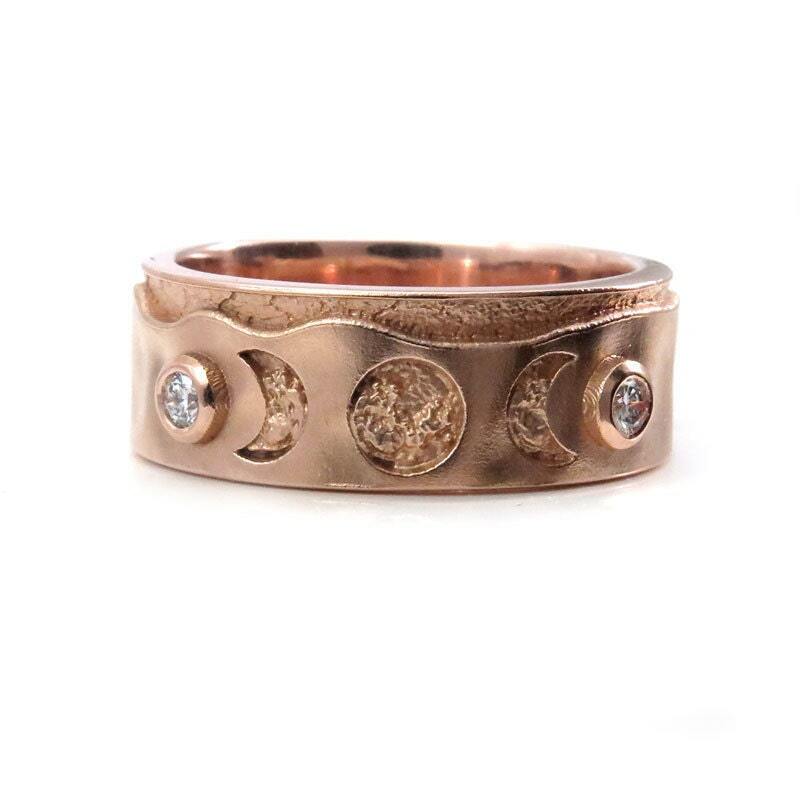 This modern mens wedding band has whole and pair of crescent moons carved into it, they are meant to look craters as I used a photo of the moon itself to create my moon model I used to boolean the band in CAD. The photo of the moon I used had craters. 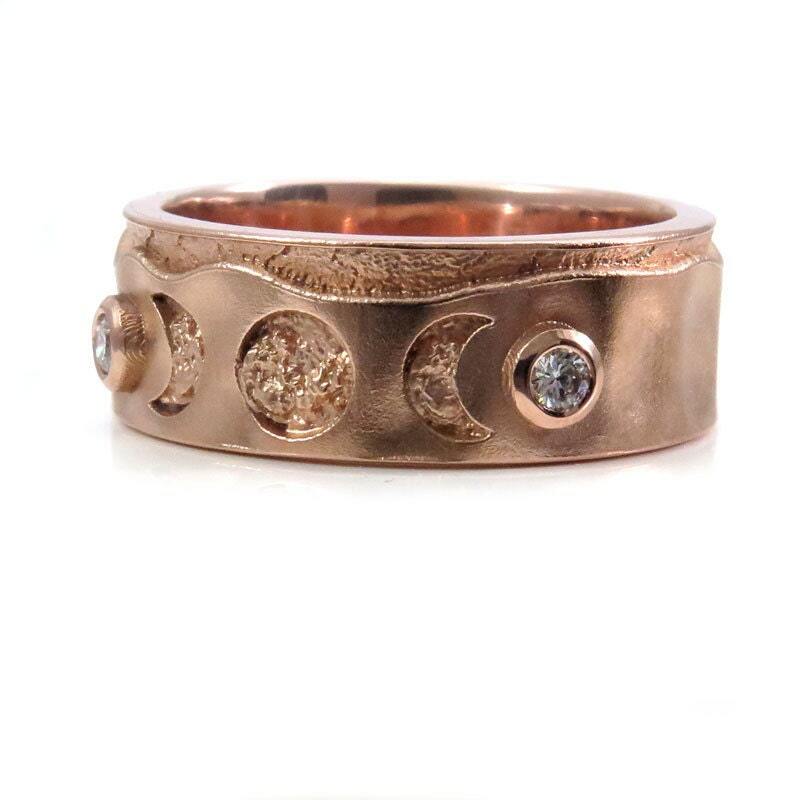 The ring is shown here in 14k rose gold and has a pair of white diamonds set in a bezel on the outside of the triple moon phase symbol. The diamonds are VS clarity and G-H in color, they weigh approximately .11 carats. 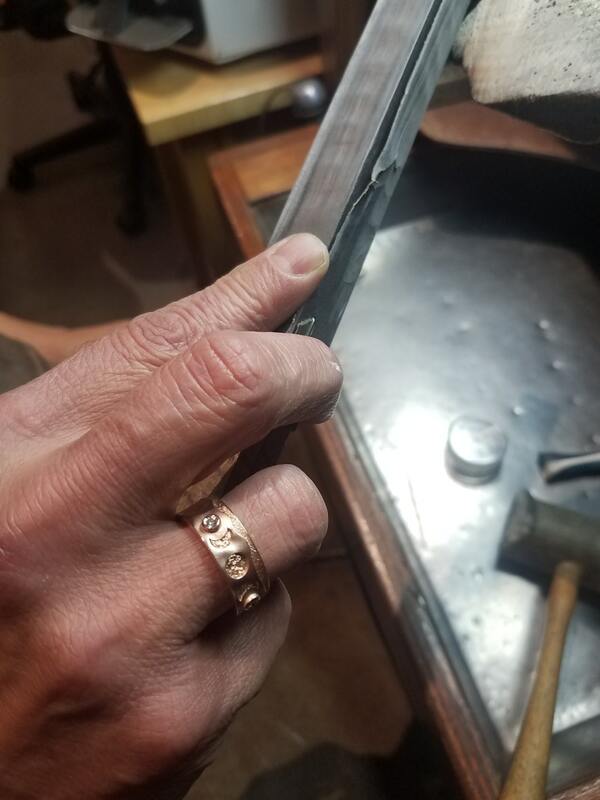 This ring can be set with black diamond upon request. 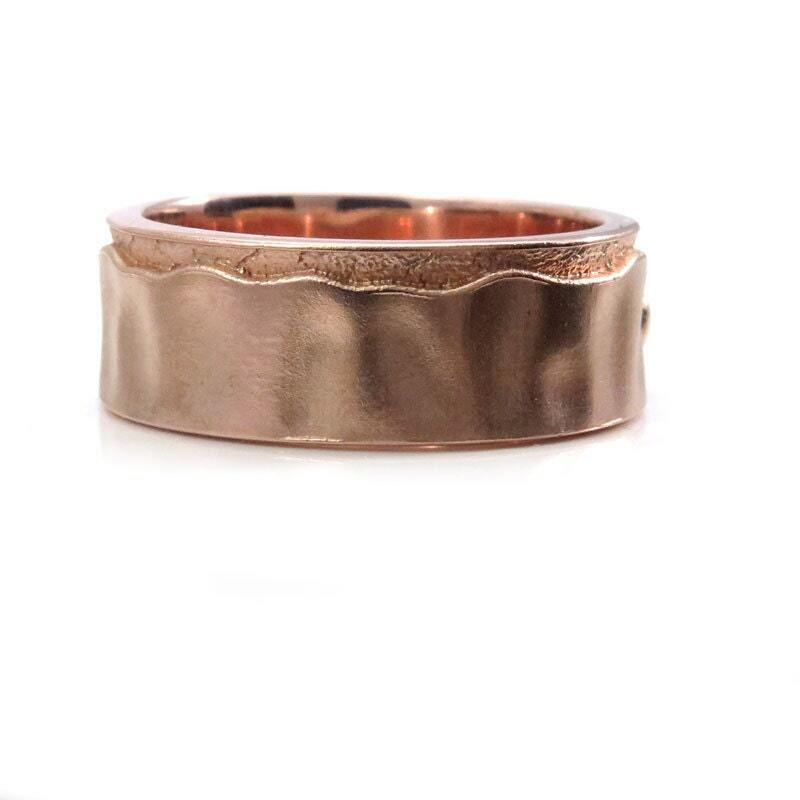 This ring is just over 8mm's wide and comfort fit. 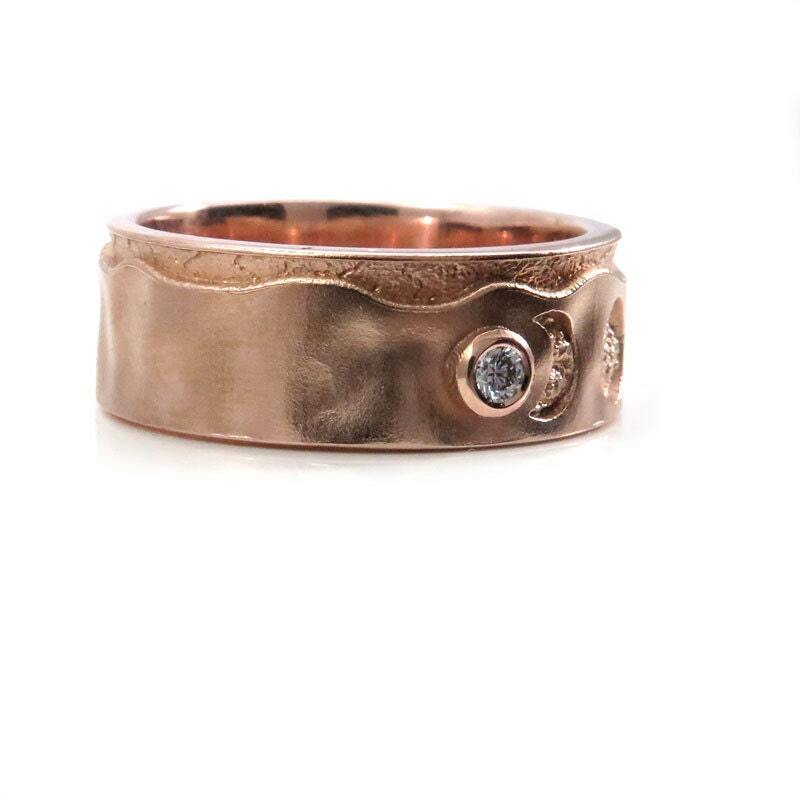 Your ring will be made to order in you size and metal choice, our turn around time is 4 weeks.